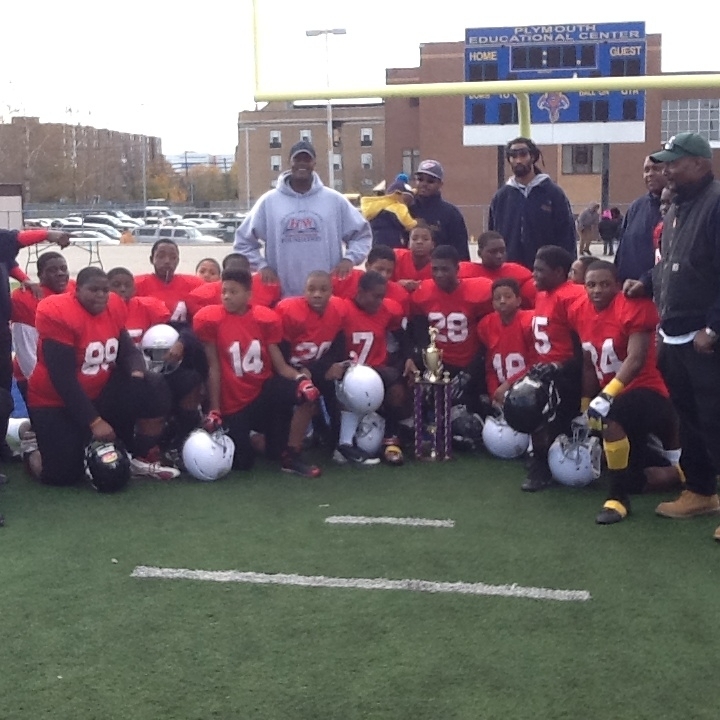 Marcus Garvey Academy played Mackenzie Elementary-Middle School for the first-ever middle school football championship game on Saturday, November 9, at Plymouth Educational Center. The Garvey Hurricanes defeated the Mackenzie Stags with a score of 62 to 18. 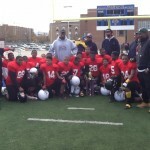 Garvey will go down in DPS history for being the district’s first-ever middle school football league champion sponsored by the Healthy Kids League. Garvey played seven games and had an undefeated season. The additional teams that participated this season were Mackenzie, University Prep Science and Mathematics Academy, Carstens Elementary-Middle, Highland Park, Bates Academy, Burton International and Plymouth Educational Center. Coach Donald, a retired police officer said the football program brought the best leadership qualities out of the young men. “They showed dedication and commitment to both academics and athletics,” he said. This entry was posted in News and Press Releases, Student Showcase and tagged 313, Featured.